Update, 3:15 p.m. Feb. 10: North Kitsap schools Superintendent Patty Page informed parents via email that maintenance staff believe they have located the source of the odors at Poulsbo Elementary over the past several weeks. An inspection of equipment this morning showed exhaust was leaking out of a heat exchanger on one of the HVAC units on the roof. Monitoring inside the building today showed no carbon monoxide, indicating the one (undamaged) burner they’ve been using since this morning is free of exhaust leaks. “Running the unit on one burner will provide adequate heat to the space it serves,” Page said. Air Masters, the company that worked on the units this summer, will be on site Monday to inspect the unit and identify repairs. Monday is the earliest Air Masters can get there, Page said. Note, this is likely not the end of the school’s HVAC woes, as the aging system gradually degrades. The district’s goal is to replace the sad, old thing, and they’re working on a plan. Read on. Feb. 9, 7:45 p.m.: A few new developments today (Tuesday) on the issue of odors at Poulsbo Elementary School: a meeting with parents, new equipment to monitor air quality and an “evolving” plan for replacing the aging and cranky HVAC units sooner rather than later. Superintendent Patty Page and other district officials met with parents at the school this afternoon to answer questions and field comments. The parents’ frustration was evident. Parent Lori Smith said it seems that the district is downplaying complaints of illness. “What’s the next step for the next time Friday happens?” Smith said, referring to reports of odors on Friday that brought the fire department and gas company officials out to check. The school was deemed fit to occupy and school was not cancelled. “Nobody’s doubting anybody,” Page said in response to Smith. She said teachers have the go-ahead to remove students from a class, and Principal Claudia Alves has authority to evacuate the school without checking with central administrators. Parents are asked to report any odors to Alves or the main office. That’s the protocol, but no one will get in trouble for calling 911 if they are concerned, Page said. The Kitsap Public Health District has loaned the district a sophisticated and fairly new air quality meter that measures for unhealthy levels of carbon monoxide, carbon dioxide and relative humidity. The device also measures particulate matter, but unlike the other measures, there’s no health standard for that. The device is designed only for use in schools, and is available to the health district through a partnership with the state Department of Health and federal EPA. It will be in place in a classroom until at least Friday, as work to fix immediate problems with the HVAC units on the school’s roof continues. Health officials will analyze data from the device and determine if monitoring should continue beyond Friday in other locations of the school. Maintenance staff purchased a hand-held gas detecting device, which they have been using since Monday. They also will regularly monitor air quality at the school. “North Kitsap School District has a plan for investigating the odors. We support their plan and think they are taking the right approach to their investigation at this time,” said Karen Bevers, health district spokeswoman. Health district officials have received 10 public health concern reports related to the school and “have responded to all those individuals,” Bevers said. Finally, the district may be closer to replacing the units than earlier thought. Even a few weeks ago, district officials believed that fixing the system would require replacing not only the units but the entire air duct system as well. The projected cost would be on the order of items typically funded by a bond, and yet the district has no immediate plans to run a bond. Within the last few days, however, another potential solution has been suggested by Rashad Green, the district’s heating and air conditioning technician, who has been assigned to bird dog problems at Poulsbo Elementary. Green, relatively new to the district, has extensive knowledge of HVAC systems. He believes there are ways to replace the units without having to tear up the air duct system. District officials will be vetting that possibility with a contractor and checking on the price tag. Regardless of the cost, Page said, if this is a viable option, the district will make it work. Page said the problem with the schools HVAC has been ongoing for years. In an earlier renovation of the school, the HVAC system was not replaced. Now the system is so old it’s almost impossible to get parts. Problems date back to at least 2009, according to a local newspaper article, but Page said problems likely had been cropping up before then. Schools in North Mason and South Kitsap opened on schedule today. 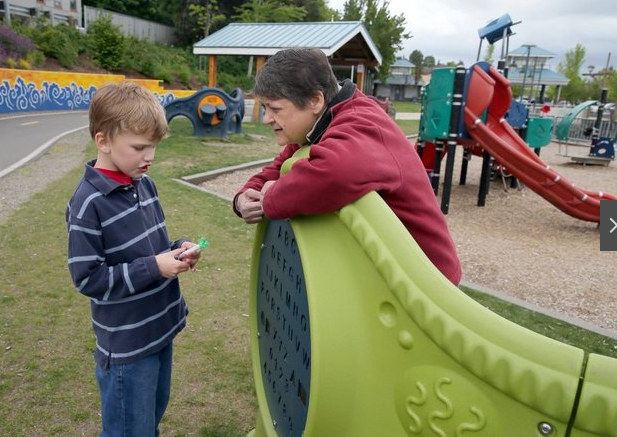 Bainbridge, Bremerton, Central Kitsap and North Kitsap schools opened Sept. 2 as planned. That’s not news … unless you’re North Mason celebrating the opening of a new high school. Earlier this spring, there was talk among local union leaders of a possible long-term strike this fall to follow up one day-walkouts. Four of the six teachers’ unions (South Kitsap, Central Kitsap, North Kitsap and Bainbridge Island) were protesting lack of progress in the state Legislature over funding of K-12 education. So if you’re a Kitsap or North Mason parent reading today about the the teachers’ strike in Seattle, you may be wondering if teachers on the Kitsap Peninsula will follow suit. True, Kitsap and North Mason teachers, along with others in the state, have complained about stagnant wages, saying a teachers’ cost-of-living increase and temporary pay boost allocated by the state, is inadequate compensation to attract and retain high quality teachers. They say that the $744 million in new spending for schools approved in Olympia over the 2015-2017 biennium doesn’t meet requirements of the state Supreme Court’s McCleary decision. The strike, which began Wednesday, affects 53,000 students. Teachers in Pasco, with 17,000 students, also are on strike. But these strikes are mainly about local issues and not tied to the larger debate about education funding, according to Rich Wood, a spokesman for the Washington Education Association, quoted in the AP article. Most educators and legislators agree that the current system, which relies heavily on local levy funds, results in inequity in teachers’ pay and student opportunities from district to district. An overhaul is needed, most agree. In the meantime, districts negotiate with unions to supplement the state’s pay schedule. North Kitsap School District recently completed negotiations with its teachers, and the school board on Wednesday (today) will consider the new contract. With local schools starting on time, it would seem like talk of a strike has died down. But at least in South Kitsap, union members did consider a longer term strike, electing to hold off pending the Legislature’s response to recent court sanctions. The state Supreme Court held the Legislature in contempt over McCleary and, in the absence of a special session, is fining it $100,000 a day. Nineteen senators, including Republican Jan Angel, R-Port Orchard, and Tim Sheldon, D-Potlatch, who caucuses with the Republicans, issued a follow up statement saying the court had overstepped its authority. On Aug. 31, the South Kitsap Education Association opened the floor to discussion of a long-term strike, according to union president John Richardson. Members did not vote on a strike but approved a proposal to leave their options open. They authorized their representative council (leadership) to bring a strike motion before members in January, or not depending on progress the Legislature makes as it goes back into session. I have not contacted other local union leaders, since schools were opening as scheduled. I will be following this and other developments related to McCleary as the saga continues. With school starting, what do you want to know? If you’re like Brian Lewis, the Kitsap Sun’s coding guru, you may have left school supply shopping to the last minute. Well, we’re not exactly to the last minute yet, but getting close. School starts Sept. 2 for most local districts, except South Kitsap and North Mason, which start on Sept. 9 (after our late Labor Day, Sept. 7). Brian, a devoted uncle, had the bright idea to make his and your lives easier by compiling all school supply lists on one webpage, along with other relevant links. As the Kitsap Sun’s education reporter, my theme for the upcoming school year is “here to serve you.” I’d like to focus on providing families with useful, relevant information about local schools, as well as state and national trends in education that affect your kids. I compile the Kitsap Sun’s education stories (and other education news) on my Facebook page. You can always reach me with your questions or comments on stories by Facebook message (friend me please so messages don’t go in the dreaded “other” folder), by calling (360) 792-9219 or emailing christina.henry@kitsapsun.com. Some of the topics we covered last year were bullying, state funding for schools, teachers’ pay and the rolling-one day walkouts in which teachers’ protested for higher pay and smaller class sizes. We also tried something new this year, offering live chats on trending topics, like the one we did on South Kitsap’s plan to bring ninth graders up to the high school. In the upcoming year, I hope to dig into Common Core and find out how it’s playing out in the classroom, and how (if?) it’s impacting students’ lives and education. We hope to follow up on our series on discipline and equity by looking at the role of paraeducators, who work with students with disabilities. Statistics show these students are disciplined at higher rates that their peers. What’s with that? And I’d like to write about preparing students for college, not just the academics, but equipping them to navigate in this new environment (and — considering how much has been written about helicopter parents these days — being able to let them go). Anyway, these are just a few of the ideas I have. I hope you’ll contact me with ideas for education stories that would be useful and interesting to you. I can’t promise we’ll get to all of them, but we’ll do our best. P.S. 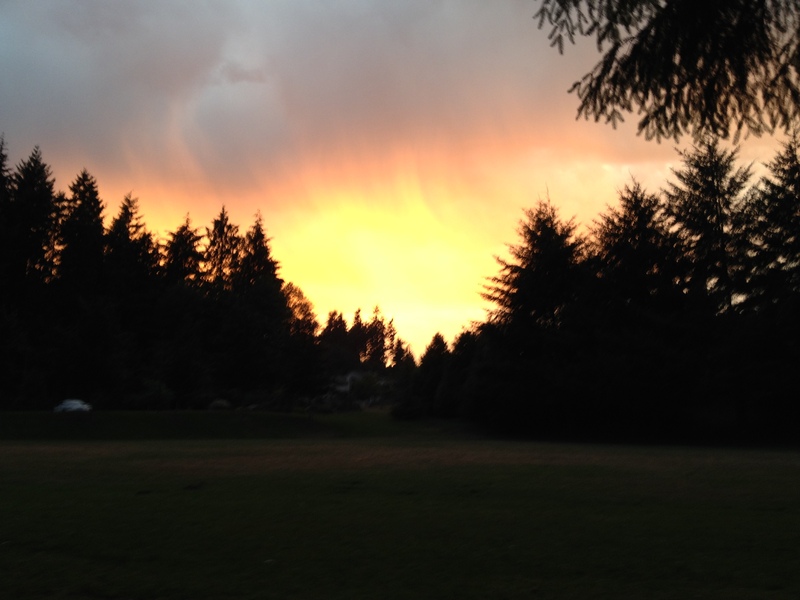 Yes, I still cover South Kitsap, so stay in touch as well if you live or work in that part of the county. As a follow-up to our story today on efforts to promote learning among preschool children, I share with you here the Washington Kindergarten Inventory of Developing Skills. This state-endorsed list (attached below) shows 22 skills that children should have mostly under their belts by the time they finish kindergarten. Children are assessed in the fall (by October 31) through observation and looking at samples of students’ work. Schools that receive state funding for all-day kindergarten are required to to the WaKIDS assessment, which is used by teachers to figure out where individual students need help and by state and local policy makers, who study the aggregate data. Other schools can voluntarily participate in WaKIDS. The state is phasing in fully-funded, all-day kindergarten, starting with the most impoverished schools. Because there are more schools added each year, you can’t compare data from one year to the next. The assessment used by WaKIDS evaluates proficiency in 22 skills in six areas of learning: social and emotional, physical, language and cognitive development, literacy and math. Under social-emotional, for example, one question asks if the student “regulates own emotions and behaviors.” Under mathematics, you’ll find, “explores and describes spatial relationships and shapes.” Problem solving, the ability to carry on a conversation, identify letters, sounds and words … there’s a lot on the list. And, experts say, children entering kindergarten should have been working on these skills long before they’re enrolled in public school. 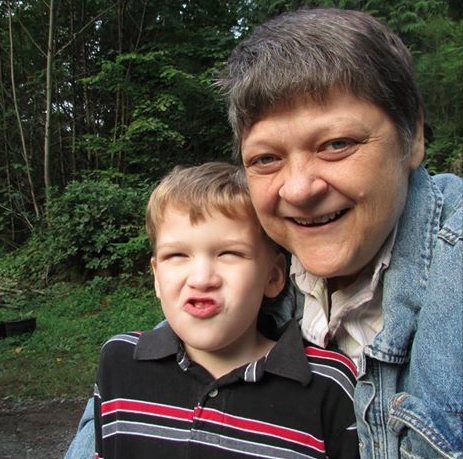 On the Kitsap Sun’s Facebook link to our story, “Districts start early to ready students for kindergarten,” there was a debate among readers about whether this push for early acquisition of skills is positive for children or just too much pressure. While current policy on early childhood education (including the value of all-day kindergarten) remains open to debate, the importance of a richly stimulating environment during each developmental stage has been well documented, including by the Children’s Reading Foundation, a Kennewick organization that hosts the national Ready! for Kindergarten program. The program, in which South Kitsap, Bremerton and Central Kitsap take part, educates parents on ways to foster intellectual and social growth from birth on up. The WaKIDS data from the 2013-2014 school year shows that 80 percent of the 38,443 kindergartners assessed already had physical skills that are “widely expected” by the end of kindergarten. In literacy, too, roughly 80 percent already had a good grasp. Social-emotional confidence and cognitive skills had been mostly mastered by about 75 percent. About 70 percent had good proficiency in language skills, but only 50 percent were end-of-kindergarten skilled in math. One school official I talked to said kindergarten teachers must address the needs of children with a wide range of skills, from those who are able to do some things typical of an 8-year-old, while others are struggling at a 3-year-old level. Let me repeat that these are skills tested on children at the beginning of the school year that experts say they should have fully mastered by the end of kindergarten. If you are the parent of a child entering kindergarten, you may want to take a look at this list (below). The big take-away that I heard from teachers and early childhood experts while researching the story is that “each child develops at his or her own pace,” so don’t panic if they’re not hitting it out of the park in all categories. Read “Leo the Late Bloomer,” for a pick-me-up, if this is the case. P.S. 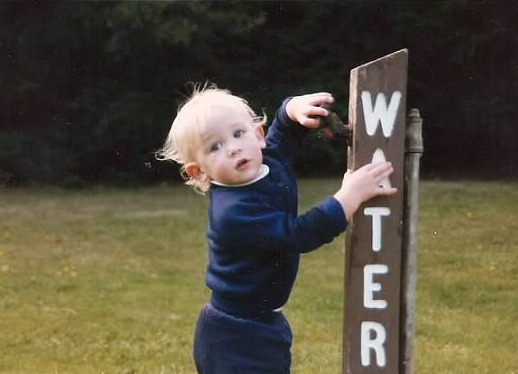 This is a picture of my son Alex, who turns 30 on Friday, proof that time flies. This photo is not available for copying or reproduction. Thank you. On Monday when we heard the scanner call of a drowning at Island Lake my heart stopped a bit. My family had been there the evening before. My youngest, Apollo, he who cuts his own hair, had been swimming. It’s what you do when it’s warm out. The picture on the left was taken that night from Island Lake Park. Sunset pictures were all over Facebook that night. This one is far from the best one. There is no joy in learning it’s not your kid. There is no celebration in any of it. Even learning that a group of about nine kids who were there swimming did all they could to save the boy’s life is overshadowed by the fact that as of Tuesday night that 12-year-old boy is in critical condition. I am, like much of this region, so impressed with what those kids did. That this boy has a chance to survive at all is because of them, and because of some adults who also happened by at the same time. And yet, like everyone else, I want more than anything to hear that the boy will be OK. Then we can really celebrate what teenagers did. I think I can cast aside my job-mandated Olympian objectivity in saying that. This, too. Today I got to talk to the mother of one of the kids. I said what I think anyone else would say, that no matter how this turns out those kids did the right thing. Even if celebration is not in order, it’s comforting to know what happened. Anyone who has ever been a parent knows that stuff happens beyond your control. We obsess over details and still miss things. Life happens at a pace that sometimes outruns us. There are times we need the village to step in. We don’t necessarily plan for it. We try to live like we don’t need it. And yet there are times we find ourselves thanking whatever god we acknowledge for the times angels in the form of other humans appear to save us. Or to save our kids. This time it was teenagers. Remember that the next time you’re tempted to give up on them, maybe even your own. Most times we find ourselves wondering what they’re capable of it doesn’t occur to us that they might be capable of saving a life. UPDATE: Most of you know by now that things did not end as we hoped. Jeffrey Hentz died Wednesday morning. On Saturday, we will run a story about struggling schools in Kitsap and North Mason counties, as identified by the State Board of Education. The schools, identified in the Washington State Board of Education’s achievement index among the state’s lowest performing schools, are Cedar Heights Junior High School in South Kitsap School District, Hawkins Middle School in North Mason School District, Fairview Junior High School in Central Kitsap School District and Central Kitsap’s Off Campus Program. The good news is that these schools have made some progress over the past three years with financial help and professional guidance from the state Office of the Superintendent of Public Instruction. And they’ll continue to get that help, despite Washington State’s loss of a waiver under No Child Left Behind. In the course of researching this story, I found a handy, dandy tool that every parent of a school-age child can find useful. Low (and high) performing schools in Washington State are identified through data evaluated in the achievement index. About a year ago, the SBE complied the data (available in a jahonking Exel file if that’s your preference) into a user-friendly dashboard data tool that gives a visual snapshot of each school in the state. I don’t think this data tool was widely publicized. At least I never saw a press release about it. So they may have given it a “soft rollout” as the saying goes. But maybe I’ve just been behind the curve. I do know that the state is moving toward better public access and transparency of data. OSPI’s school and district report card, which offers a wealth of information, has been available for a long time. I use it regularly. Find the achievement index here. From the main drop down window, select your district of choice, then your child’s school to view data on academic proficiency and growth among all students and subgroups of students who have historically lagged behind their grade level peers. Notice that dark blue represents the highest tier, with dark green at the next level and light green in the middle. Orange and red signify the lowest tiers. Having orange or even red boxes doesn’t automatically raise a red flag, under the SBE’s high-low ID system, which takes into account data over past three years. The system also measures students’ relative academic growth rather than growth against a fixed standard, as under the federal No Child Left Behind standards. In addition to struggling schools, the Board of Education also identified high performing schools, including 17 in Kitsap and North Mason, which were recognized by OSPI in April. What if you were a kid, and even the slightest movement could cause your bones to break? That’s what life has been like since birth for RyAnn Lutz, 8, of South Kitsap. RyAnn suffers from Osteogenesis imperfecta (OI) a genetic condition that cause bones to break easily. OI is also known as “brittle bones”. A person is born with OI and will have OI throughout their lifetime, according to Wishbone Day International, an organization dedicated to raising awareness about the rare disease. It’s not about the money,” said Wishbone members, including RyAnn’s aunt Geneva Flolo. It’s about public education. The disease is so poorly understood, that when RyAnn was a baby, DSHS Child Protective Services investigated the family on more than one occasion, questioning the baby’s injuries. A family doctor went to bat for them, according to Flolo, defending Stephanie Lutz’s parenting of RyAnn and two older siblings. “When RyAnn was born nobody was even Aware of OI,” Flolo said. RyAnn has had 85 fractures and many surgeries. Specialists are so rare, the family must travel to Omaha, Neb., for the surgeries. The family has organized a Wishbone Day event in Port Orchard from 1 to 5 p.m. Sunday in the Port Orchard Marina Park. They expect more than 200 people, including children with OI and their families from all around the Pacific Northwest and British Columbia. The South Kitsap High School cheer squad will be there to cheer RyAnn and her buddies on in their journey. 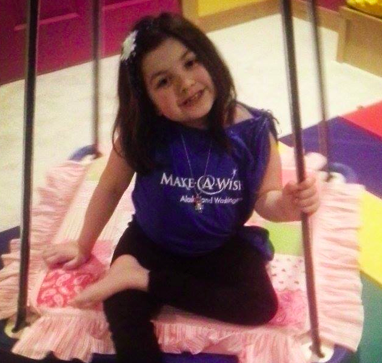 Within the past couple of months the Make-a-Wish Foundation paid to have the Lutz garage transformed into a soft playground, where RyAnn can swing and have fun (almost) like a regular kid. But Sunday’s event, as mentioned above, is not a fundraiser. Everyone and anyone is welcome. Wear yellow if you can, and look for the yellow balloons. Oh, and it’s a potluck.